Coach’s quote: “Seniors pick our team quote every year, this year it is: ‘Clear Eyes. Full Hearts. Can’t Lose’,” said Desai. Player’s quote: “I’m super excited for the season and I know that the team and I are going to have to put in a ton of hard work, but hopefully it will pay off,” said junior Ashley Bocklet. 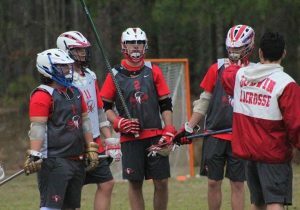 photo courtesy Thor Macht Boys lacrosse is expecting to win more games this season with the help of the more experienced players. Coach’s quote: “With our experience and athleticism, the sky’s the limit for this group of young men,” said Webb. Player’s quote: “This year I think we’ll improve because we have more experience,” said senior Colby Daniels. 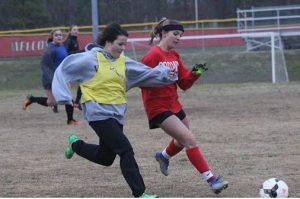 With returning talent, girls soccer plans to make a reappearance at the state championship. Coach’s quote: “We got a taste of a state championship last year, and we know what it takes to put ourselves in that position again. 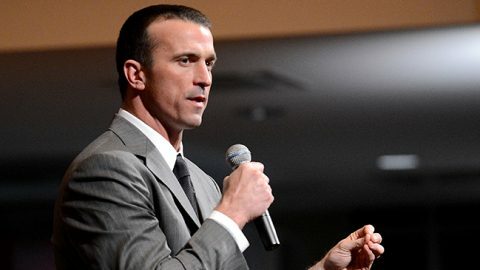 We have the talent to get us there, we need to stay healthy and hungry for the repeat,” said Toole. Player’s quote: “We lost a couple of really good seniors, but we’re hoping to reach the same level as last year and improve from there,” said senior Delaney Weston. 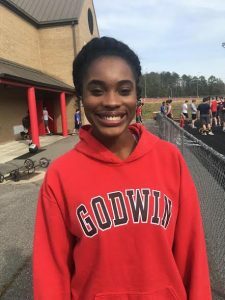 Coach’s quote: “I am excited to be joining the Godwin family, and I am looking forward to this season. 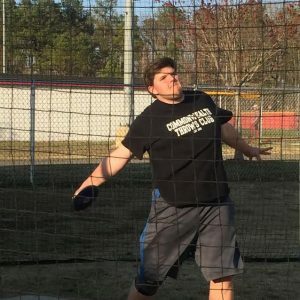 I believe if we put in the work, do the little things right, and take it one game at a time, then we can have a very successful season,” said Johnson. Player quote: “This looks like a promising season so far. We have high goals and I believe in our ability to reach those goals. 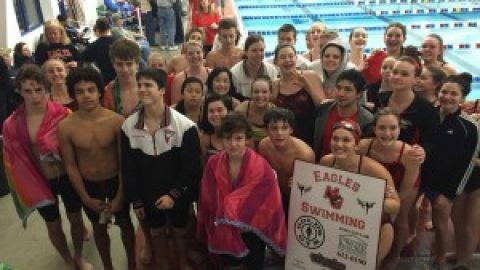 With hard work, I think our team could get a state championship,” said junior Matthew Lim. 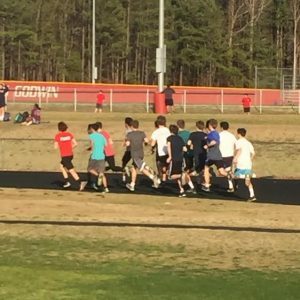 Photo Kevin Crockett Boys distance runners practice under Coach Pullock, a Godwin alumni. Photo Kevin Crockett Senior Emily Whitty, Brittney Bell, Britton Wilson, and Rebekah Greene will lead the girls teams. Photo Kevin Crockett Head Coach Winston has moved from coaching boys distance to boys sprints this season. Coach’s quote: “The key to success will be staying healthy and establishing some depth among the two programs,” said Winston. 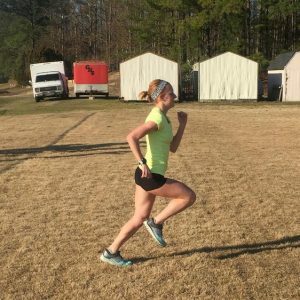 Player’s quote: “I am super excited about this season and the training is going well. 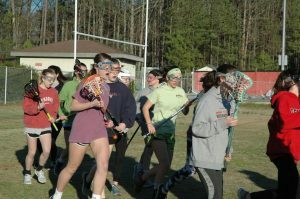 Our team has potential and I think we are ready for a good season,” said freshman Rebecca Brendle. photo Kevin Crockett With veterans guiding the new players, softball will swing the competition out of the park. Coach’s quote: “We are hoping to build on what we accomplished in 2015-16. We were a couple of big plays away from going to the regional tournament. We have a close knit group of girls that will have to step up and guide the younger players,” said Olivo. 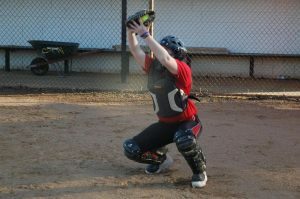 Player’s Quote: “I expect us to work hard and come closer together as a team,” said senior Kayla Shaffer. 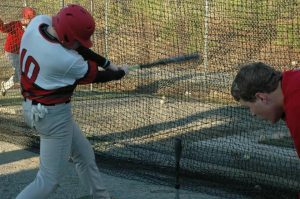 Photo Kevin Crockett Baseball plans to compete on a daily basis during practices, not just on game days. 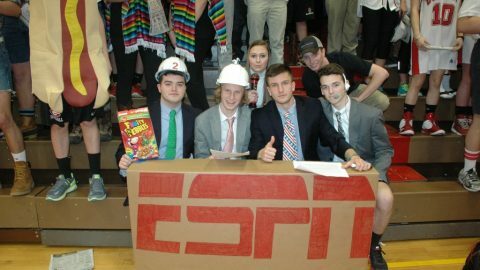 Coach’s quote: “We hope and expect to compete on a daily basis both in practices and in games to put ourselves in a position to win the conference championship and advance to the regional and state playoffs,” said Fletcher. Player’s Quote: “This year we have something special. 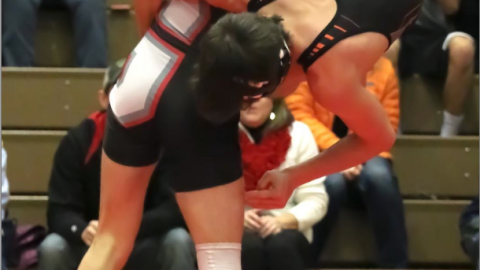 We need to finish what we started last year,” said junior Scott Mcdonough. photo Kevin Crockett Girls tennis introduces freshman to the team and expects a productive season that ends with a state championship. Coach’s quote: “We have a lot of returning players and some very good freshman who should help with the depth of the team. 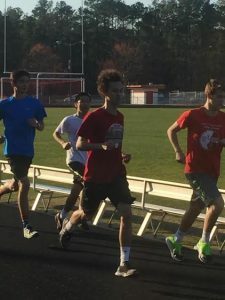 Our goal is to get better each day and hopefully that pays off with a state championship,” said Seidenberg. 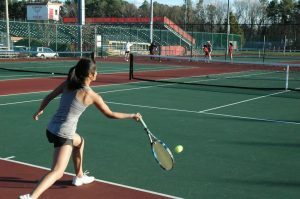 Player’s quote: I”m very excited for the tennis season to officially begin. We have a great group of girls who always put 110 percent at practice and never fail to make me smile. 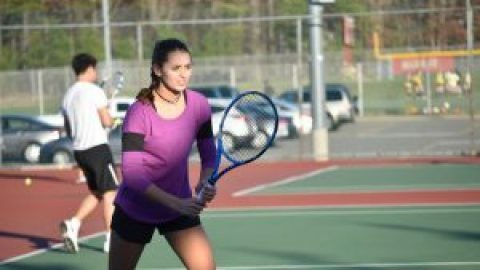 I expect us to do pretty well and overall it should be a great season,” said senior Divya Atluri. 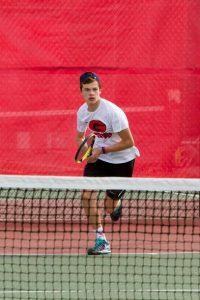 Photo courtesy Thor Macht With veteran players from last year, boys tennis considers themselves a threat to teams vying for conference titles. 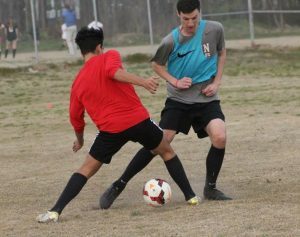 Player’s Quote: “With coach Silver gaining more experience from last year, we have big hopes that we will be a threat in the conference,” said senior Thomas Gyory. 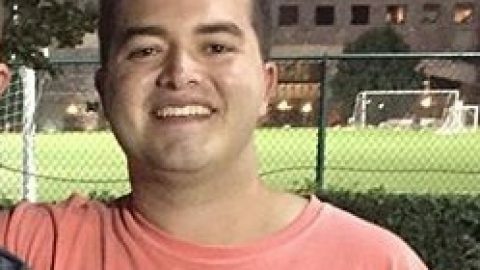 For the 2017 spring sports season, Buena Vista University graduate Cody Johnson, has been named head coach for the Boys Varsity soccer team. Johnson began playing at the age of four and continued throughout his college career. 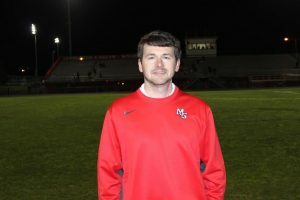 Johnson coached travel soccer for the Richmond Kickers and was the JV coach at both Maggie Walker and Midlothian High School before coming to Godwin. 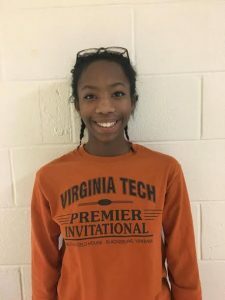 Sophomore Britton Wilson competed at the New Balance Indoor Track and Field Nationals, placing third in the 500m and setting the Sophomore National Record of 53.4 seconds. “I was realy nervous but my coach gave me some tough love which I will always remember,” said Wilson. 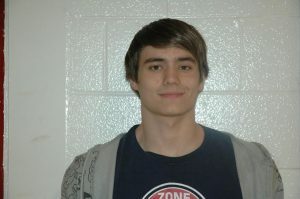 Senior David Dixon swam the 100m butterfly and the 200m individual medley at states and placed first in both races. 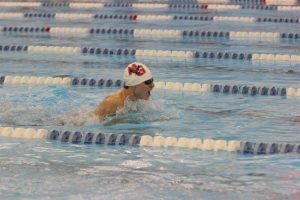 Dixon also competed in the 200m medley relay and the 400m freestyle relay, which the team placed third and fifth respectively. 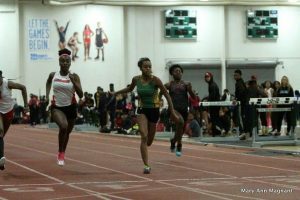 Senior Rebekah Greene also competed at the New Balance Indoor Track and Field Nationals. She broke her own school record for the Triple Jump with a leap of 38’8.5” inches.